GCC plastic manufacturers look to new markets including Africa. Amid intensifying global and regional competition, GCC plastics producers are turning to new frontier markets including in Africa. At least 2 million new polyethylene (PE) and polypropylene (PP) capacity will be brought online in the Middle East by 2020, said Muhamad Fadhil, the head of Middle East markets at ICIS, a petrochemical market firm. But with a change in market dynamics, this could lead to an oversupply before the end of the decade. These polymers are used in a variety of applications. PE can be used in agriculture, such as for industrial-scale greenhouses to help food grow year-round, while PP is used in the automotive industry for items such as car bumpers. There are three main regional players that are bringing significant capacity to the markets. Abu Dhabi’s Borouge will more than double its capacity to produce 4.5 million tonnes per annum (mtpa) this year. In addition, Saudi Arabia’s Sadara Chemical Company’s Jubail plant will come online this year housing 26 chemical manufacturing units producing 3 mtpa. Oman Oil Refineries and Petroleum Industries Company (Orpic) is expected to bring its factory online by 2020, producing 1.053 mpta of PP and PE. But a shift in market dynamics from China, the region’s major export market, is challenging GCC plastics makers to look for new solutions. 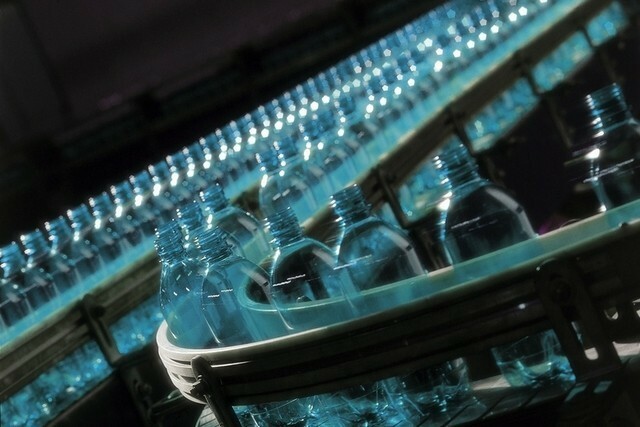 The Asian country is boosting its own polymer production to meet targets set out in its five-year plan to 2020. Mr Fadhil said that Chinese imports from the Middle East are expected to decrease by a fifth by the end of the decade. "As a result of how central the Middle East is, [producers in the UAE and Saudi Arabia are] able to just shift markets to where they find better margins." And Africa, particularly Egypt and Nigeria, are seen as the next frontier for future growth. "You can’t ignore the strength of markets in Africa," said Martin Wiesweg, the senior director of chemicals at IHS Markit. "It may not be attractive today, but it will be attractive tomorrow." In addition, GCC suppliers are facing lower profits as fuel subsidies are being reduced, increasing the costs for feedstock and eroding their traditional competitive advantage. "In general, PE producers in Saudi Arabia will see higher costs of production by about US$100 per tonne as a result of higher ethane prices and this goes to a direct reduction in margins for these producers," said Arvind Aggarwal, the Bahrain-based principal for Nexant Energy and Chemicals Advisory. The Gulf Petrochemicals and Chemicals Association said the industry makes up the second-largest manufacturing sector in the region, producing up to $108 billion worth of products a year. "Some might find it hard to believe, but the GCC plastics industry accounts for more than 35 per cent of global plastics trade," said Hazeem Sultan Al Suwaidi, the regional senior vice president of exports at Borouge. Borouge, a joint venture between Abu Dhabi National Oil Company and Austria’s Borealis, is looking to increase its competitiveness by moving up the "value chain to produce more sophisticated plastics solutions", he said. "The petrochemical sector is a key element in Abu Dhabi’s efforts to diversify the economy by moving further downstream and further up the hydrocarbon value chain," Mr Al Suwaidi said. The region’s leading plastics, petrochemicals and rubber producers will be exhibiting at Arabplast in Dubai from today.